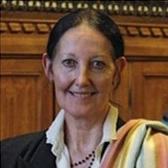 Dr Linda S Spedding, International Lawyer and Adviser, qualified as a Solicitor (England and Wales), Advocate (India) and Attorney at Law (USA). She has worked at the Legal Service of the European Commission and in matters before the European Court. She provides consultancy to law firms and clients in the private and public sectors, as well as in the not for profit sector. She has advised, trained and spoken on business risk management, including guidance on responsible, ethical and transparent trade and business relationships. Dr Spedding has specific experience and expertise in India and the SAARC region. She is highly regarded for her contribution in this connection. She has been an honorary adviser on governance and sustainability for the Confederation of Indian Industry (CII) in India for many years. Dr Spedding is a recognised international legal and commercial advisor in corporate governance, stakeholder communications, corporate best practice to prevent international economic crime, as well as responsible business practices including CSR and reputation risk management. Dr Spedding was awarded the Bharat Gaurav award in 2016 for her contribution and services at the House of Commons in London.